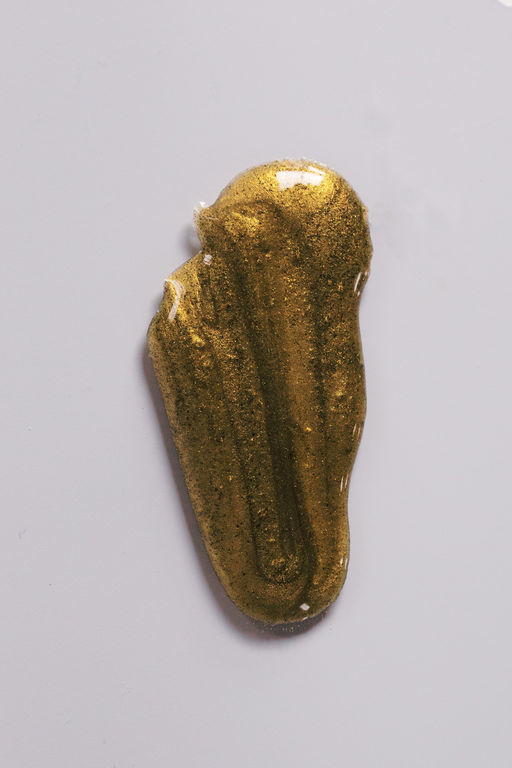 Wild Honey is a gorgeous golden emerald green color and is recommended for anyone with very sensitive + dry skin. 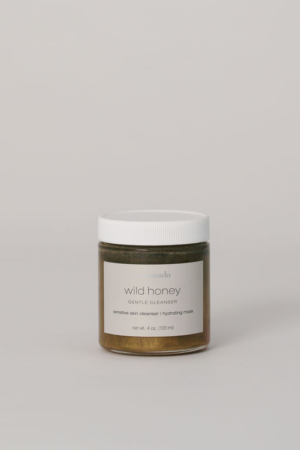 This unique cleanser is made with wild thyme honey from Crete and is mixed with superfoods, adaptogens + organic spices. Also, makes a beautiful hydrating mask and a wonderful product to have in your skincare collection. This product is sticky and mixing with water removes the stickiness. Use AM + PM as a cleanser. 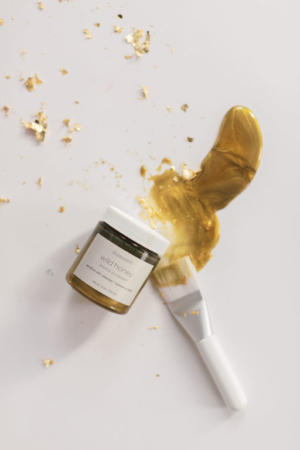 Mix 1 TBL of Wild Honey w/ 1 TSP of filtered water in mask bowl, stir with treatment brush and apply to face, leave on for 1 – 2 minutes. Leave on longer to use as a treatment mask. Rinse well with warm water, pat dry and follow with Sage + Gold Toner.